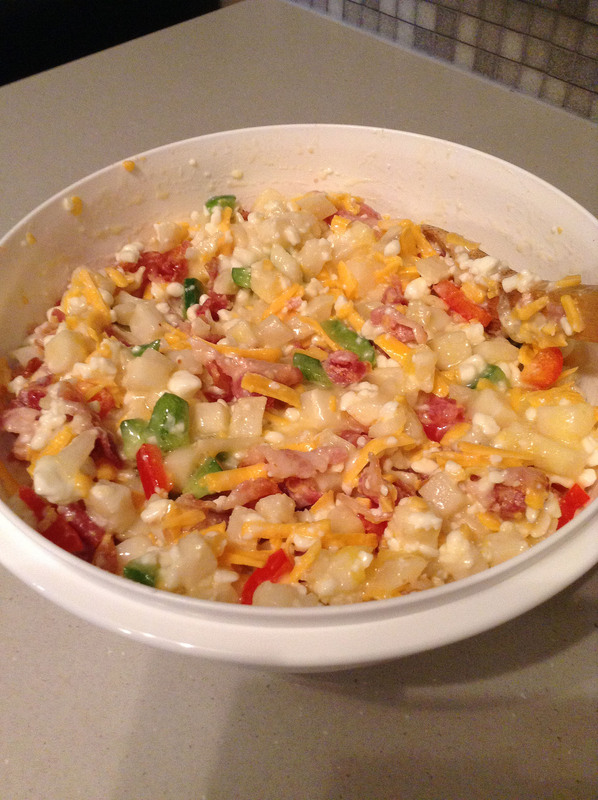 In preparation for some Easter weekend guests I decided to make a simple casserole for breakfast rather than making everyone bacon and eggs. I prefer this as the work is done ahead of time before your guests arrive. All you do is pop the casserole in the oven in the morning while everyone else is still snoozing. 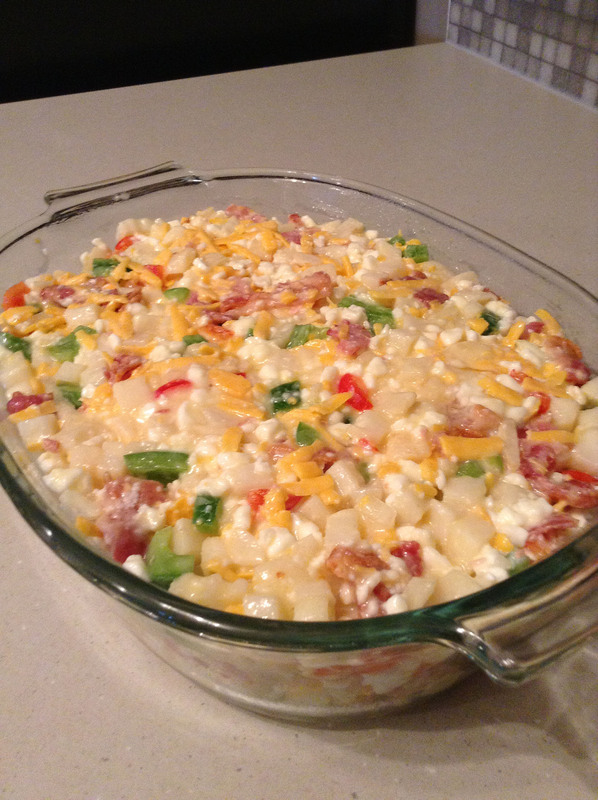 So today I’m sharing my recipe for this basic breakfast casserole. Enjoy! 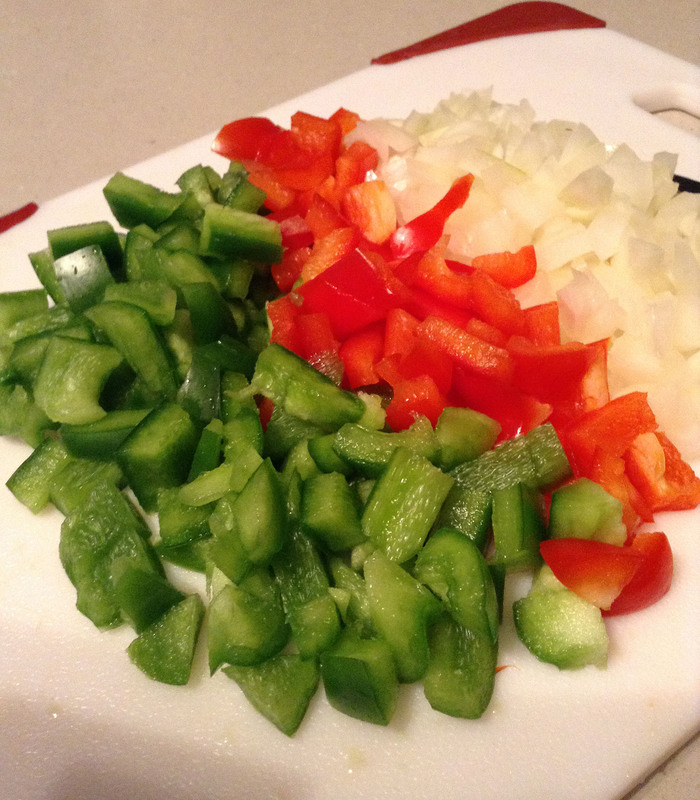 Diced veggies – your choice. I included red and green peppers. 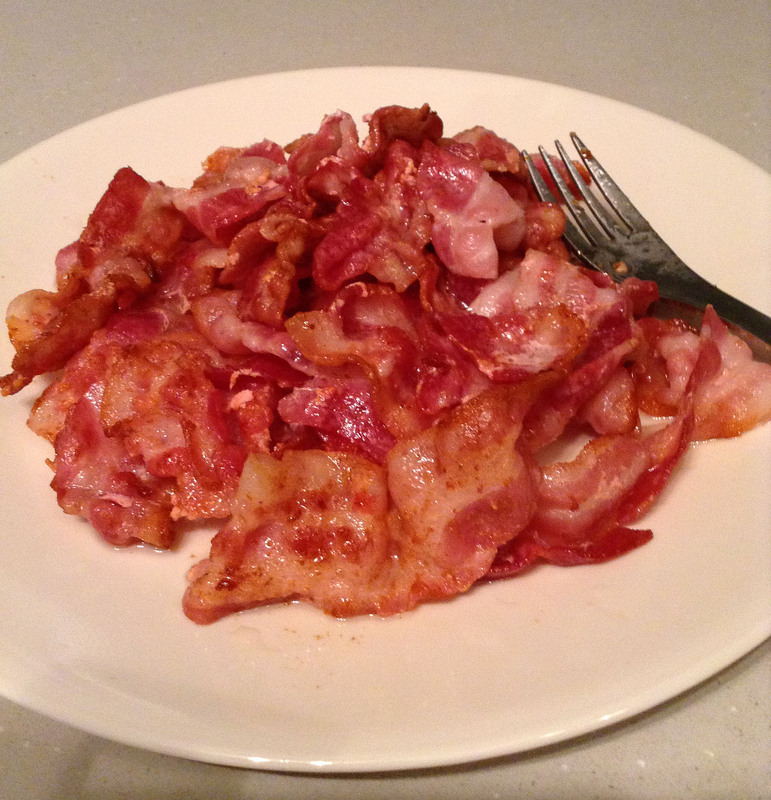 In a large skillet, cook bacon and onion until bacon is crisp; drain and dice bacon. 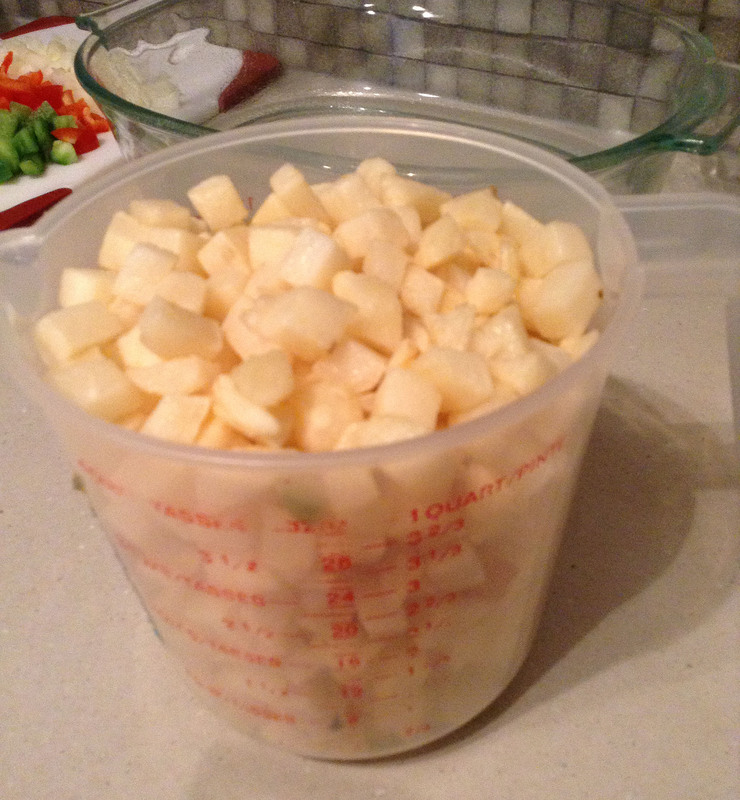 In a large bowl, combine the remaining ingredients; stir in bacon mixture. 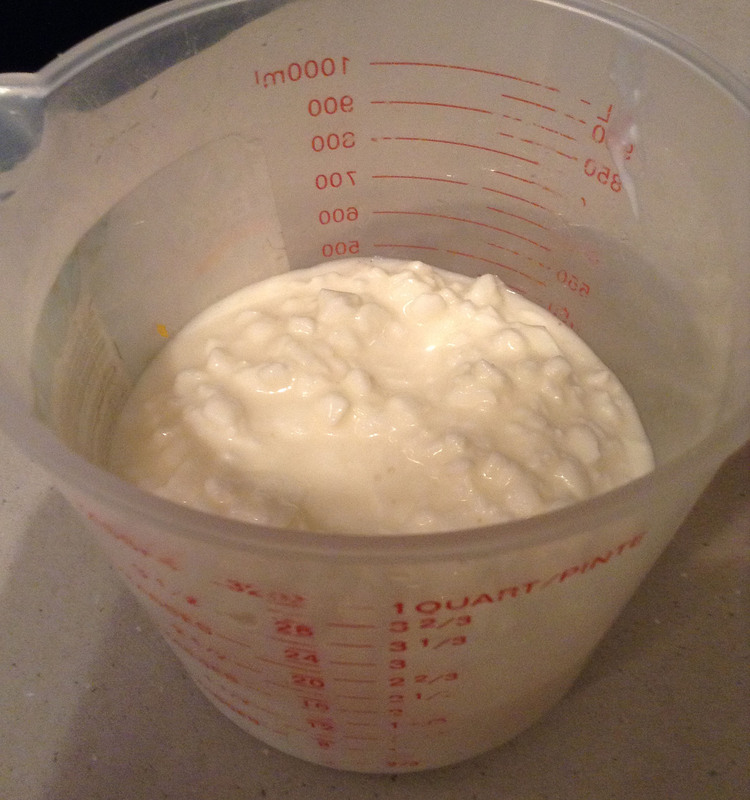 Transfer to a greased 9″ x 13″ dish. 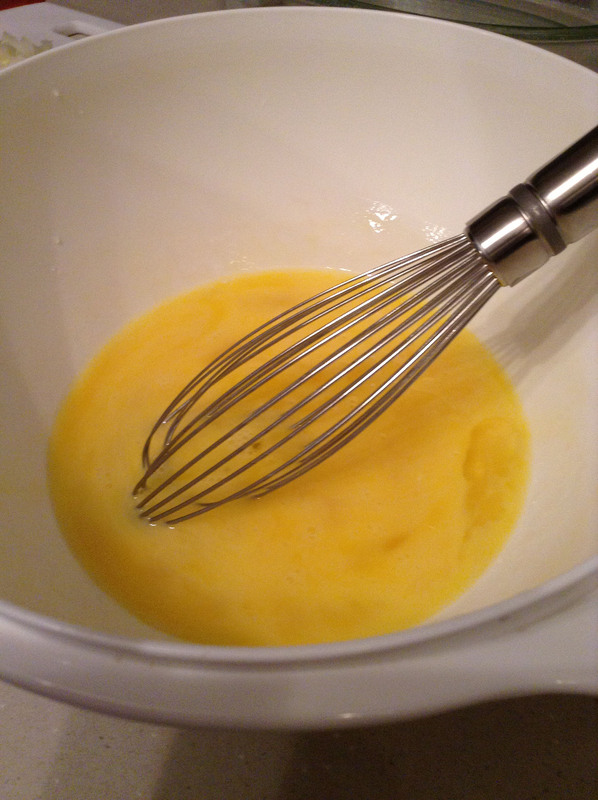 Bake, uncovered, at 350 F for 35 to 40 minutes or until a knife inserted near the centre comes out clean. Yield: 12 servings. This can also be frozen. If you freeze it and then bake it, you’ll have to increase the cooking time. 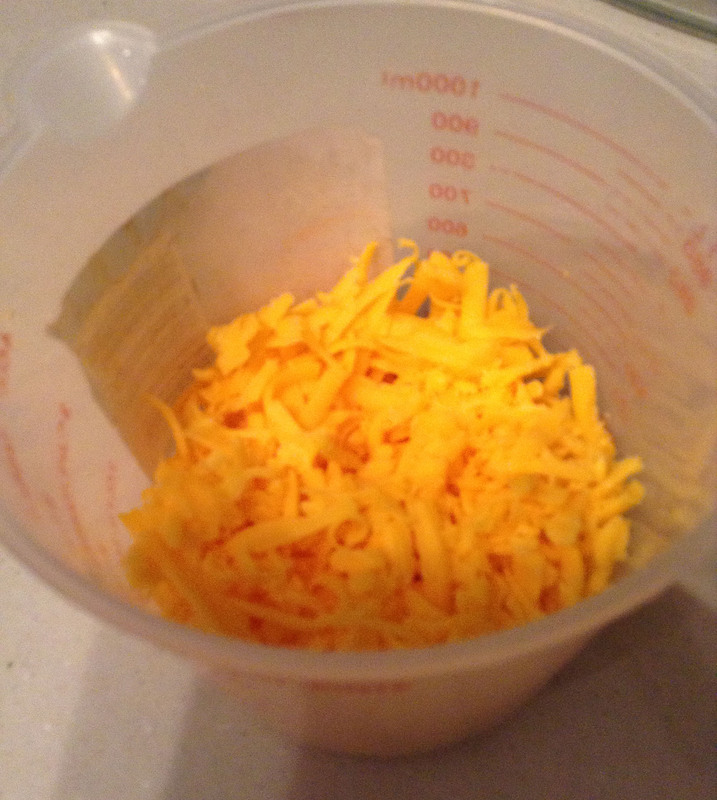 Pour it into a baking dish. The final product… yum! 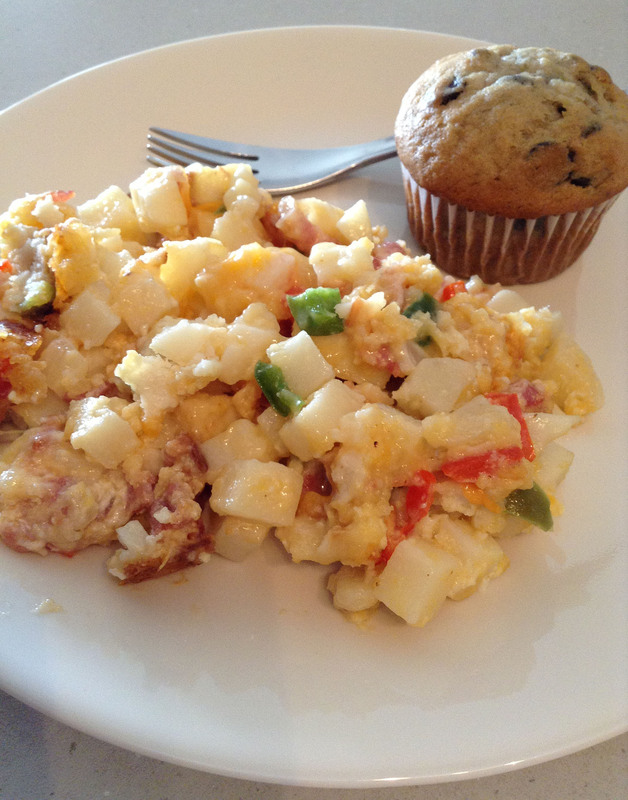 With a homemade muffin!